Having swung from attempting to buy a new build house over the first half of 2018 and being thwarted by incompetent house builders, I’ve ended up at the other end of the scale. 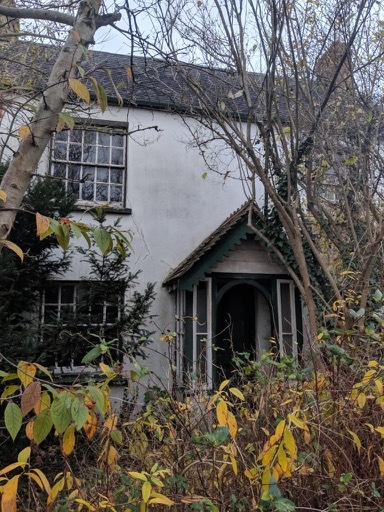 In a few weeks, I’ll have the keys to what, from the research we’ve done so far, is an early to mid 19th century cottage with a late 19th century extension and an old barn showing a 1692 date stone. Once the structural issues (!) have been handled, we’ll start the renovation process. It’s been a fascinating few months reading up on the way that old solid walled houses breathe and how the cement render on this one won’t be helping the dampness. I’m looking forward to getting it back to its former glory.